*** Stephanie Allin - Collection Event *** — Frances Day Bridal. “It started off with five dresses in the back of my car and a trip to Harrods to meet the buyers back in 1991-little did I know that it would bring me here today.” Stephanie Allin. Founded in 1991 in Wales, self titled label Stephanie Allin has established herself as an innovator of the British Bridal Fashion pack. 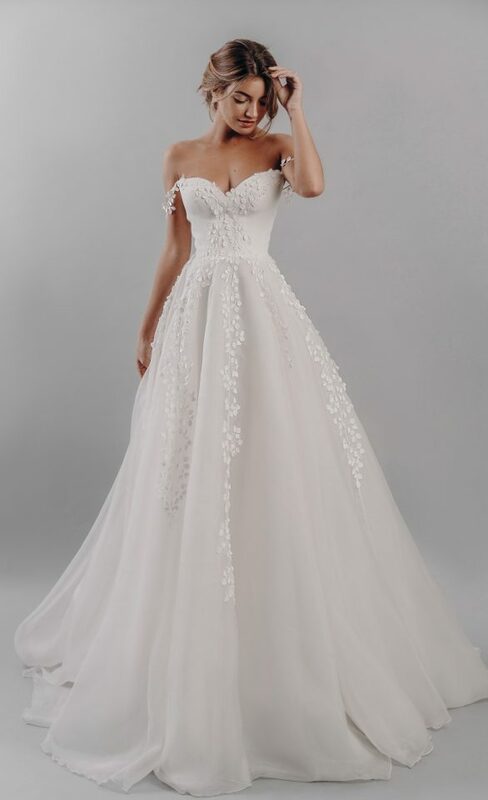 With a key focus on fabric and texture all brought together with the most divine silhouettes we are delighted to welcome the brand boutique label to the East Midlands at Frances Day Bridal, Nottinghamshire. Join us for a private appointment over the weekend where we be showcasing the ‘Love Stories’ collection along with selected Stephanie Allin classics. Get in touch with the boutique to book your appointment, these gowns have really got us rather excited! NB: As this event is in such high demand, there is a £20 fee for Saturday and Sunday appointments. This is fully redeemable against the purchase of any dress.